VIZ Media and Toei Animation Inc. team with Los Angeles-based film distribution company, ELEVEN ARTS, to present the U.S. premiere of Sailor Moon R - The Movie: Promise of the Rose in a series of special limited engagements at more than 300 theaters across the U.S. in late January. The exclusive event also features the North American theatrical debut of the original Sailor Moon short, Make Up! Sailor Moon Guardians. Screenings will be offered English dubbed, with select screenings in Japanese with English subtitles (please check theaters for info). A comprehensive list of participating theater locations and advance ticket purchase will be listed in coming days at www.elevenarts.net and VIZ.com. Here is the fully PR release. Toei Animation Inc. and VIZ Media, LLC (VIZ Media), a premier company in the fields of publishing, animation distribution, and global entertainment licensing, teams with Los Angeles-based film distribution company, Eleven Arts, to present the U.S. premiere of Sailor Moon R - The Movie in a series of special limited engagements in late January at more than 300 theaters across the U.S. A special Sailor Moon bonus gift will be given to ticket holders at the screenings while supplies last. Presented uncut and for the first time in North American theaters, Sailor Moon R features the renowned English language cast already familiar to fans from the VIZ Media-distributed Sailor Moon anime series. Voice actress Stephanie Sheh reprises her leading role of Usagi Tsukino / Sailor Moon along with actor Robbie Daymond as Mamoru Chiba / Tuxedo Mask. Newcomer Ben Diskin will voice the role of the film's villain, Fiore. In the film, long before Mamoru found his destiny with Usagi, he gave a single rose in thanks to a lonely boy who helped him recover from the crash that claimed his parents. This long-forgotten friend, Fiore, has been searching the galaxy for a flower worthy of that sweet gesture long ago. The mysterious flower he finds is beautiful, but has a dark side - it has the power to take over planets. To make matters worse, the strange plant is tied to an ominous new asteroid near Earth! Faced with an enemy blooming out of control, it's up to Sailor Moon and the Sailor Guardians to band together, stop the impending destruction and save Mamoru! In the Make Up! Sailor Moon Guardians animated short, Usagi and Chibi-Usa are at a cafe when they overhear two girls debating which one of the Sailor Guardians is the best. 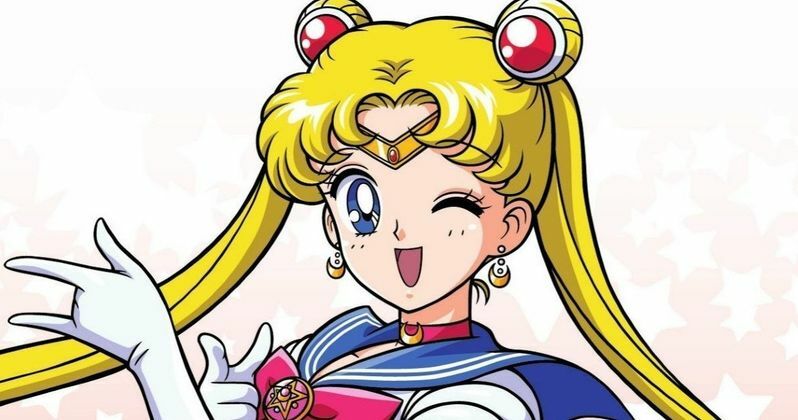 Will Usagi's alter-ego, Sailor Moon, end up being their favorite? Fans will not want to miss the answer! Says Charlene Ingram, Senior Marketing Manager, Animation. "Sailor Moon holds a special place in the hearts of multiple generations of anime fans and these exciting premieres present the film in a vivid way befitting its celebrated status among viewers. Fans will love the new, uncut English dub and we've worked closely with our partners at Toei Animation and Eleven Arts to bring Sailor Moon R to many major cities and metropolitan area across the U.S. We look forward to audiences enjoying all the action and drama as the Sailor Guardians face their new foe on the big screen!" Says Ko Mori, President/CEO, Eleven Arts. "We are beyond thrilled to present SAILOR MOON in theaters for the first time in North America. Watching anime on the big screen is an electrifying experience that no other setting can match. We invite theatergoers to root for their favorite Sailor Guardian alongside us at the premiere of this fantastic anime adventure." Said Masayuki Endo, President of Toei Animation Inc.
"Sailor Moon has always had a special place in the hearts of fans who grew up with the series. Now, with a new generation of viewers, the unending love for these characters is very gratifying. We are excited to welcome everyone to attend these special screenings and experience Sailor Moon R in the way it was meant to be experienced." Fans are also invited to enjoy the original, classic Sailor Moon as well as the all-new Sailor Moon Crystal anime series, which are now available from VIZ Media as Limited Edition Blu-ray/DVD Combo Packs as well as multi-disc Standard Edition DVD Sets. Here is the official trailer for Sailor Moon R.